A lovely line up of Iowa Blues was in attendance, including Silvers and Smokys. A wonderful raffle was held as well! We've got some new Iowa Blue enthusiasts in the making. We can't wait to see you all back at future shows! 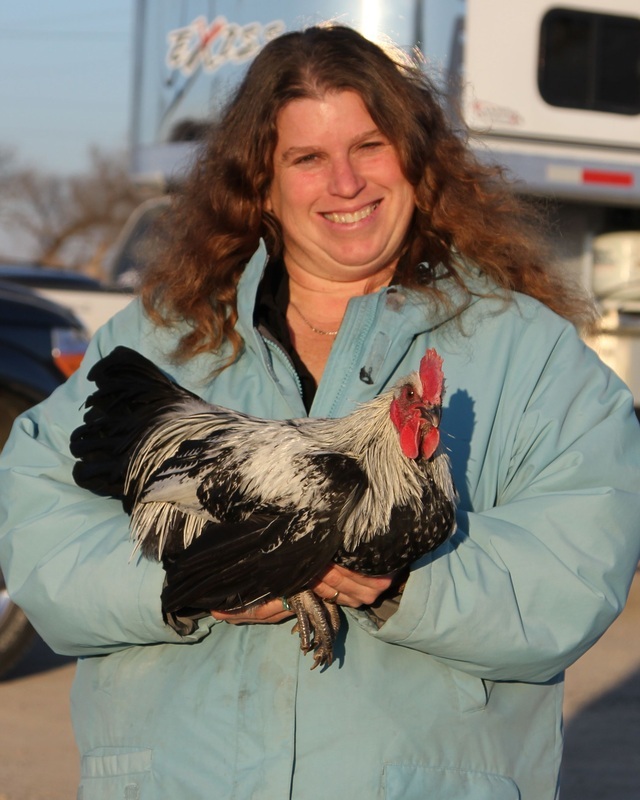 Featured in photo right is Kari McKay-Widdel with her Best of Breed winning Silver Cockerel. Kari also was awarded Best Silver Pullet, Best Smoky Cockerel, and Best Smoky Pullet. Thank you to all IBCC members participating at the IBCC promotional booth and with the IBCC raffle. We had a lot of fun!